Do I need snow tyres in the UK? 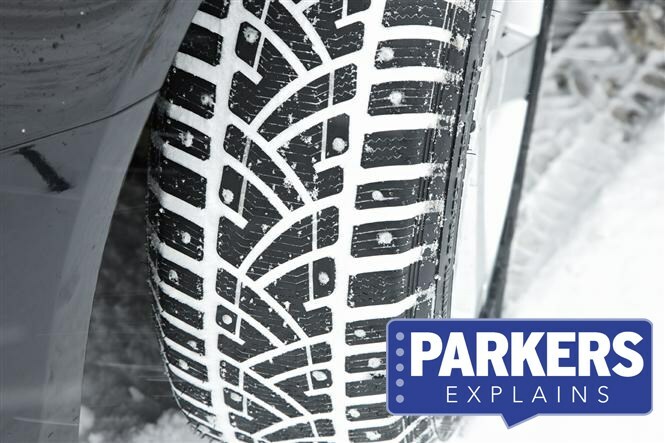 Winter tyres are designed to maximise grip and traction in cold and wet conditions. The performance of a tyre relies on having sufficient heat. A winter tyre generally has a higher silica content in the rubber than summer tyres, meaning it can retain more heat and stay flexible at lower temperatures. For this reason, it's wise to fit winter tyres as soon as the outside temperature drops into single digits to ensure maximum grip on the road surface. They also have up to 10 times more ‘sipes' - or carefully positioned tiny grooves in the tread of the tyre - that mean the tread can move around and generate more heat, which then improves grip. Should the temperature drop further, larger gaps in the tread also help to pick up snow. This may seem odd, but snow grips onto snow a lot better than rubber does, giving improved traction over frozen surfaces and better adhesion in corners. Once back on tarmac, the heat generated by the grooves on the tyre will soon melt any of the unwanted snow left on the rubber. In a word, yes. Compared to summer tyres in cold conditions there’s a huge amount of additional grip on offer using winter rubber. This means that not only is traction greater but stopping distances are vastly reduced and there’s more grip through corners too. Some drivers choose to purchase a set of winter wheels so they can simply swap the whole wheel, rather than alternating between summer and winter tyres on the same wheel every season. Bear in mind if you plan to do this that you will need somewhere to store the set of tyres not fitted to your car. Some car dealers or garages may store tyres for you if requested, though may charge a storage fee. Should I buy winter tyres, or is there an alternative? There are some different solutions to fitting a whole set of winter tyres (never fit half a set), but none are particularly suitable. The first is ‘snow socks’, which slip around your existing wheels and provide a little more grip on slippery surfaces. Unfortunately they only work on snow, though, which means you’ll tear them to pieces if you continue to use them on tarmac. Next up are snow chains, which have the same restriction but with the added drawback that they’re likely to damage both the road and even your car if you leave them on without snow under your wheels. They’re horrendously noisy, too. Both solutions require a thorough wash after use as well, as they’ll corrode due to the salt used to de-ice our highways. Should I use winter tyres in the summer? Typically, winter tyres don't work at high speeds, and they won't grip as well in warm, dry conditions. This is because of the heat they are designed to generate at lower speeds. For this reason, buyers usually buy tyres that are one or two speed ratings lower than their ‘normal’ tyres. All-weather tyres are generally what are found on cars in the UK. They're a compromise between summer and winter tyres, and as a result they don't grip as well in the dry or handle slippery conditions quite as well.